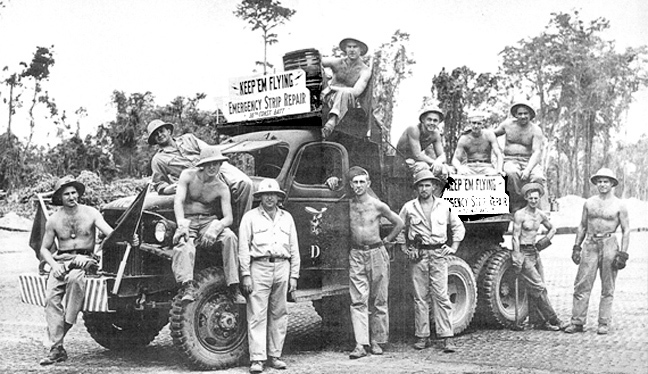 One can hardly say enough about the Seabees and what they’ve done out here. Graded land and hard surfaced roads are placed almost as if the Seabees have them in suitcases ready to fold out when they check in to each tropical hostelry they visit. I understand a great deal of dynamite was actually involved. If you’ve ever complained about the quality and condition of roads in your home county, instead of writing letters to the local newspaper editor, I suggest you write to some ambitious foreign power asking to be invaded. With any luck, the Navy will have a hand in taking your town back, and will bring the Seabees with them. I took my last chance to finish up an important bit of business before leaving Okinawa. 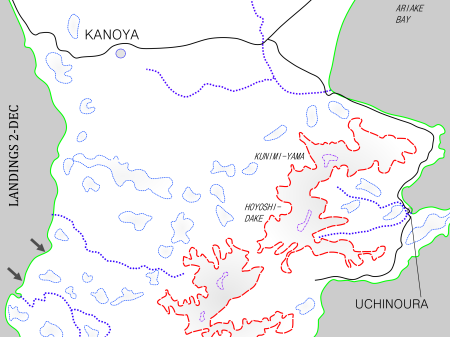 Thankfully it was no trouble finding a ride over to the small island of Ie Shima, just west of northern Okinawa. We have small ships shuttling men to and from every occupied bit of dry rock as combat units form up and garrison troops take their places. 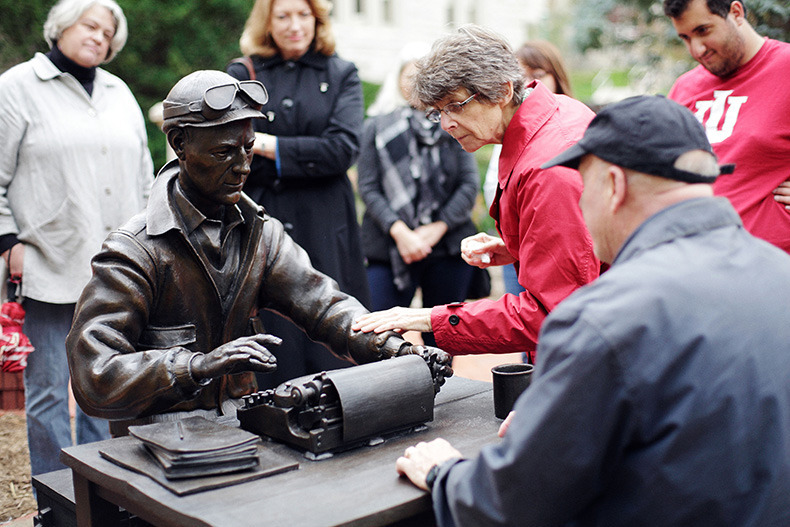 If you are reading this column you are probably aware of Ernie Pyle’s enormous legacy. If you are reading this column instead of his, you probably also miss him. I read that Pyle was read in over 700 newspapers, of his own employer’s and through syndication, by 40 million people. I’ve no way of researching the point right now, but I can’t imagine a writer in the past has ever had so wide a circulation or readership. And that at this time when newspapers may be just past their peak of power, as newsreels and radio broadcast news are taking a growing share of attention. 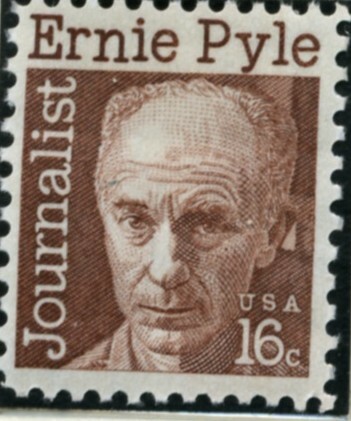 Pyle may go down as the most widely read reporter and one of the most influential men of his day. Pyle would have wanted nothing to do with any such power. Pyle made his name by learning about Americans, down on the ground with them, and sharing their stories. Tire treads and shoe leather were never spared as he criss-crossed the continent finding the big little stories that make us up. There was really nothing different about doing that on other war-infested continents. The subjects were living in the ground and getting shot at, but they were living just the same, each with an American story to share. I met Ernie on a number of occasions, but only briefly. A couple times we actually coordinated our activities, to make sure we were in different places and not in with the same type of unit (The Army usually tried to keep journalists from being bunched up in one spot anyway). He wasn’t actually as unkempt in the field as he made out in his writing. Personal grooming and housekeeping in a combat area are tough, as he explained, but people do manage to make a suitable home for themselves wherever they are. Here on this small island, which will fade again to anonymity once there are not fighter planes operating from its hard-won air strip, Ernie Pyle was in his usual place up near the front lines. Except the lines aren’t so sharp in this desperate fight. The Japanese have employed many tactics to mingle with Americans, to inflict damage on the invaders where our heavy artillery and air power can’t be brought to bear. In this case a single machine gunner hid out until the American lines went by. He had a good spot. After Pyle’s jeep was attacked, it took a squad all afternoon to flush out the position. 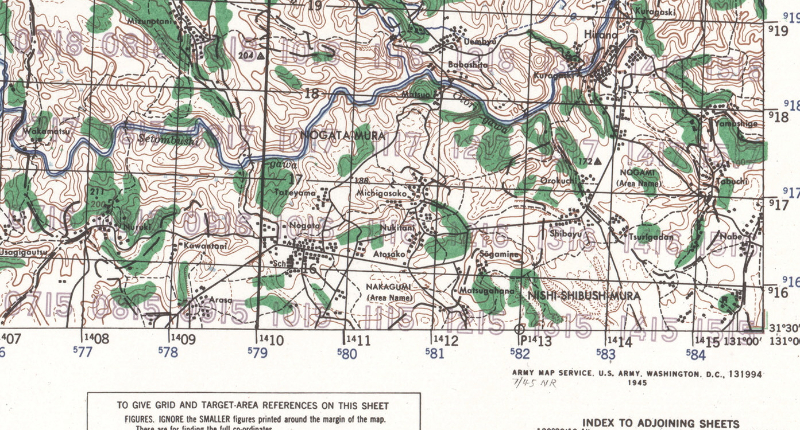 A simple wooden marker shows the spot where a well aimed burst killed Ernie instantly. 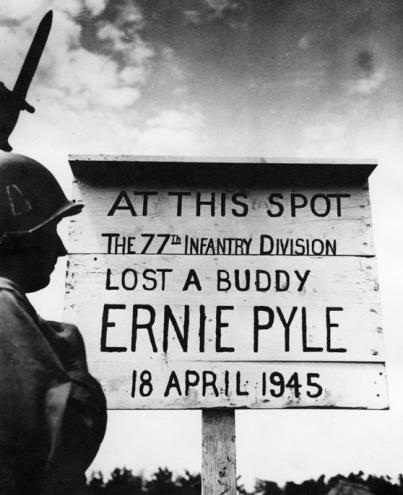 I will share one of my favorite Ernie Pyle stories, in case you missed it and just because it’s about my adopted southern homeland. Pyle was in Italy with a regiment drawn almost entirely from Tennessee and the Carolinas. The whole unit got paid, in cash, before leaving New York, collecting envelopes worth about $52,000 dollars. After a transatlantic voyage worth of poker games, in England that unit traded in their cash for $67,000 dollars of campaign currency. “Dumb, these hillbillies,” was Pyle’s dry wry end to the story. Could American commanders be forgiven for sending troops so quickly into nuclear bomb sites? We’re not here to judge. We found there were many studies and formal guidelines on radiation exposure in the workplace in pre-war years. But those standards refer to sustained exposure to low doses, often internal. It’s another thing altogether to study short-term external exposure during a military maneuver. And the criteria are radically different in a combat situation which is a life-and-death situation to begin with. Before any workplace standards were put out, there was certainly no shortage of misguided or catastrophic applications of radioactive materials. 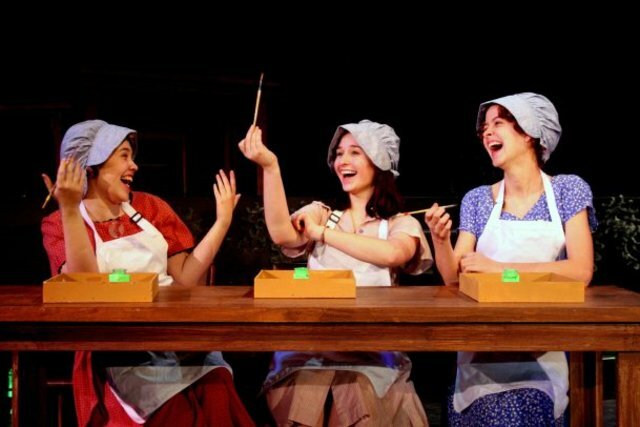 One famous example is the story of the Radium Girls. 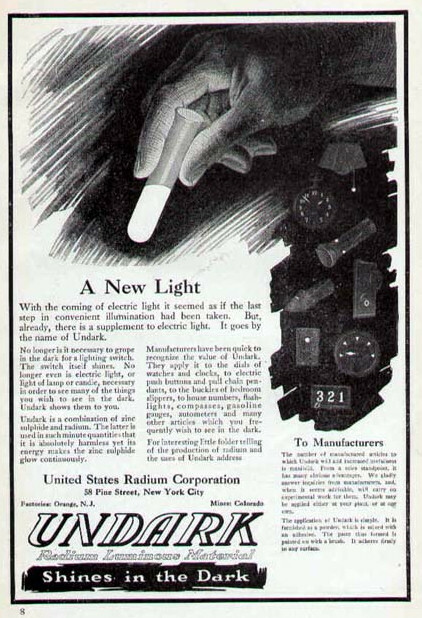 The U.S. Radium Corporation had a booming business making glow-in-the-dark watches and instrument faces through world war I. 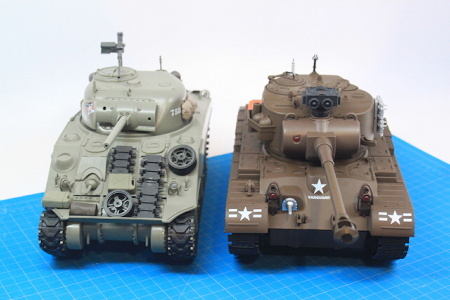 The products picked up a good reputation and sold well after the war. Their technicians handled bulk materials with long tongs and protective gear. But the people painting the instruments were mostly young women working bare handed, and who famously took up the practice of pointing the fine brushes with their lips. The build up of radioactive materials in their bodies, mostly inside bones, was devastating. Their tragic story has endured, largely as an early labor rights campaign. It even became an unlikely play. 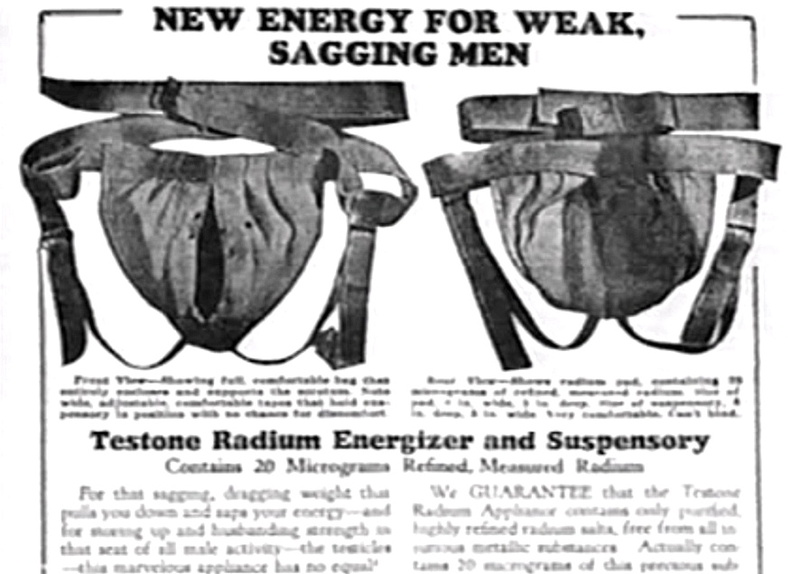 It should be pointed out that women were not the only victims of the early 20th century radium fad. Contraptions like this make old fashioned snake oil salesmen, and new-fangled diet pill promoters, look like harmless clowns.